Coachella Valley Music & Arts Festival is coming in on its final evening of weekend one. While the fun starts all over again next weekend, April 19-21, it’s important to soak in the present with all of the star-filled moments happening right now, which is currently unfolding in real time on the Coachella day three live stream. Day one turned out some pretty important moments that will forever go down in Coachella history, with BLACKPINK stealing the spotlight as the first female K-pop group to ever play the festival. However, it was day two of Coachella where the heartbeat of the festival began beating rapidly. In the process, some rather noteworthy events went down on April 13 into the early morning hours of April 14. 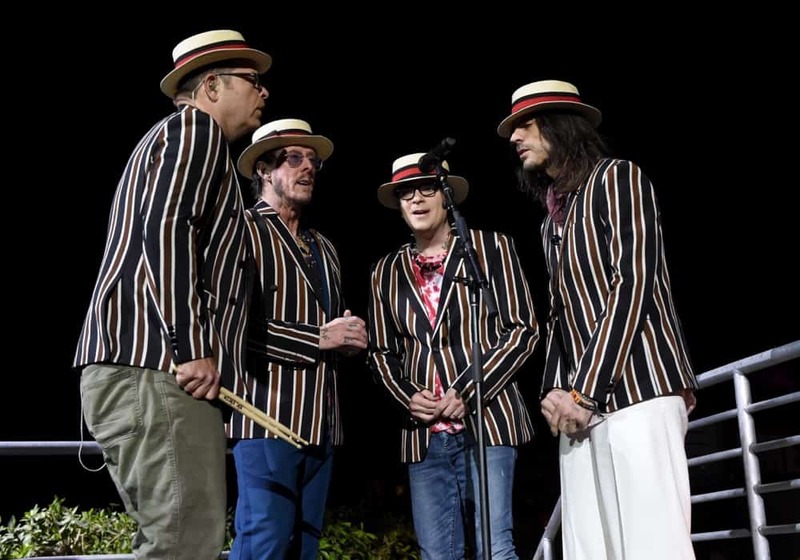 From Weezer bringing some unexpected guests on stage to Billie Eilish’s statement-making performance, and so much more, here are the top highlights of weekend one, day two at Coachella 2019. But the penultimate moments came when they pulled out material from their recently-released Teal Album, which includes a full album of covers of their favorite music. 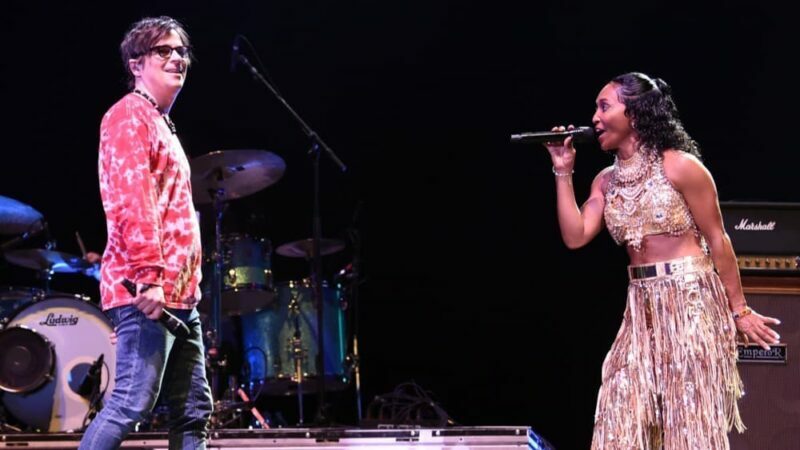 Weezer brought out Tears For Fears to sing “Everybody Rules the World.” Three songs later, when Weezer frontman Rivers Cuomo began to sing the first verse of TLC‘s “No Scrubs,” crowds were hoping for a live surprise from at least one of the two living TLC members, T-Boz of Chilli. Sure enough, Chilli stepped out onto the stage to finish out the song. 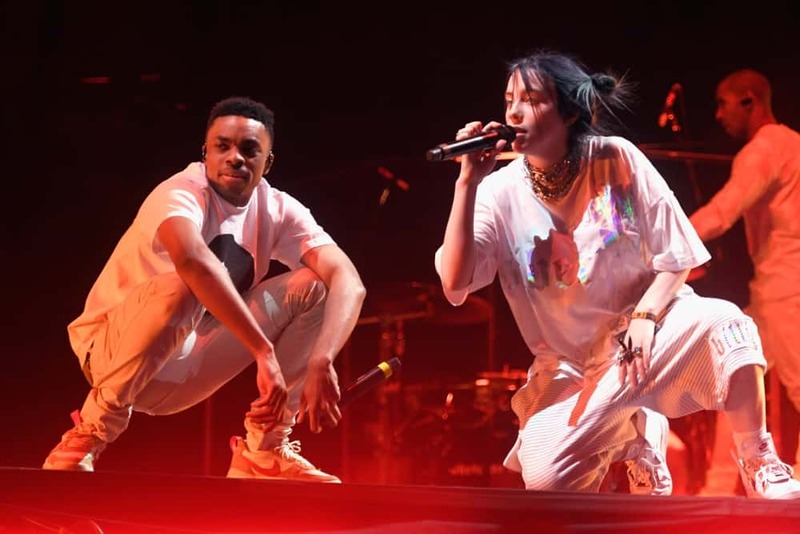 The appearance was quickly one the stand-out moments of Coachella’s second evening, going viral online instantaneously. 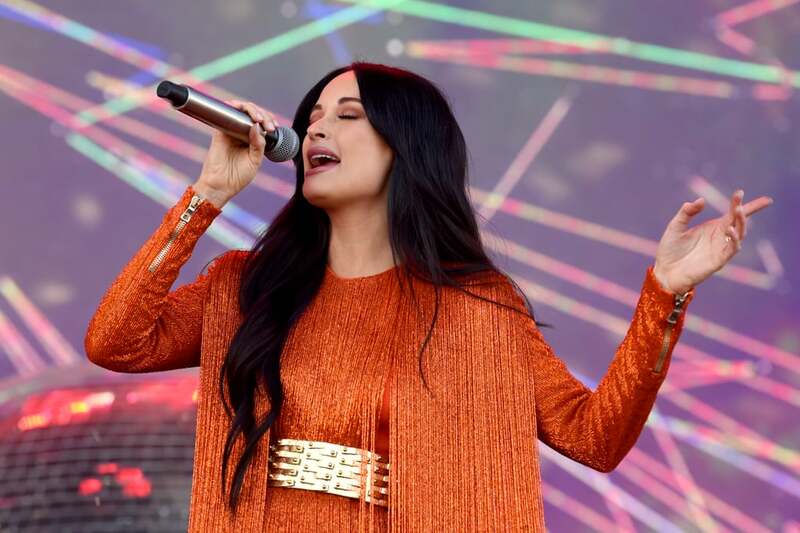 Recent Grammy powerhouse country artist Kacey Musgraves got the crowd whipped up with a lot of her tunes from the multi-award-winning album, Golden Hour. However, things became rather twisted and turned around when Musgraves attempted to play around with a country callout. The crowd managed to do this twice, then flubbed and skipped ahead a “haw,” due to Musgrave shoving the microphone out to crowd before saying her obligatory “yee.” It was a momentary relapse in her brain (and you can see it in her body language) until she shunned the crowd for her mistake. Musgraves’ knee-jerk reaction was to sprinkle some salt on her crowd: “I didn’t say f—kin’ ‘yee,'” she informed them. The internet took the moment viral immediately, with fans trolling Musgraves in the best of ways. Upon closing out her set with “ocean eyes” and “COPYCAT,” she drenched the crowd with an outpouring of gratitude that was contagious. 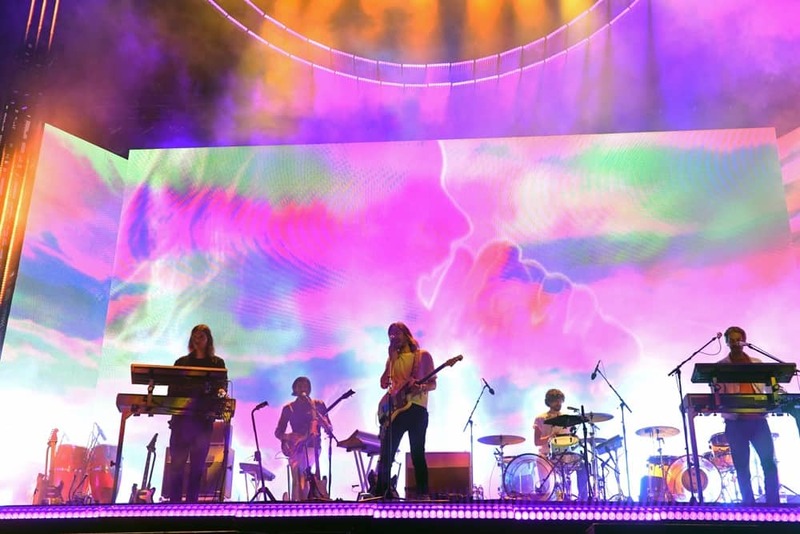 It’s been since 2015’s Currents LP that fans have had new music from Tame Impala, the collaborative psychedelic rock project helmed by visionary frontman, Kevin Parker. The Australian funk-rockers have recently begun releasing new music, first in the aptly-titled “Patience” and then debuting “Borderline” on Saturday Night Live. How fitting then that Tame Impala would use their Coachella headlining platform to unleash new music on Indio Valley and the world. The band played new tracks off their forthcoming album, mixed with a heavy dose of tracks from their previous Currents LP, amidst their high-production stage slot. The set dazzled the packed out crowd with mind-bending visuals, perfectly timed confetti blasts, and havens of laser beams overhead. Of course, Tame Impala are Coachella veterans at this point, performing at the festival four times over their nearly decade-long career, but never had they had the headlining spotlight. Over at the Outdoor stage, Bassnectar played for a more thinned out crowd, which could easily be spotted looking at the live stream. Only the first 30 minutes of his set was shown after channel one switched from Tame Impala’s full set. Bassnectar gave the Coachella crowd exactly what they wanted, with an opener that included his coveted mash-up of Eminem’s “My Name Is…” with “Basshead,” a Lil Wayne edit of James Brown’s “I Feel Good,” and plenty of new music from his recently-released Reflective Pt. 4 EP. Then, just when Coachella fans were questioning their place in the world, he slapped them with more vivid imagery during his remix of Princess Superstar’s “My Machine.” Eliciting the pro-women empowerment Dove campaign model as the song’s backdrop to the song’s lyrics, Coachella attendees were reminded of the advertising industries deception. YUPP bold per usual, but Coachella is one of the most “influential” festivals in the US. He (@bassnectar) DID THAT!